Nearly everyone knows something about the Ford Mustang, the iconic sports coupe that’s been part of American automotive lore for more than a half-century. Formally introduced at the New York World’s Fair on April 17, 1964, this steed on wheels has captured the hearts of millions of drivers and remains the quintessential pony car. As much as we may think we know about the Mustang and its storied history, these details are typically relegated to the release of the first model and every subsequent iteration. But the Mustang’s origin is a story seldom told or least key elements about the vehicle’s beginnings are often left unsaid. Who is Gale Halderman? To begin, he is James Halderman’s cousin, which immediately supplied the authors with special access and inside knowledge about the Mustang. 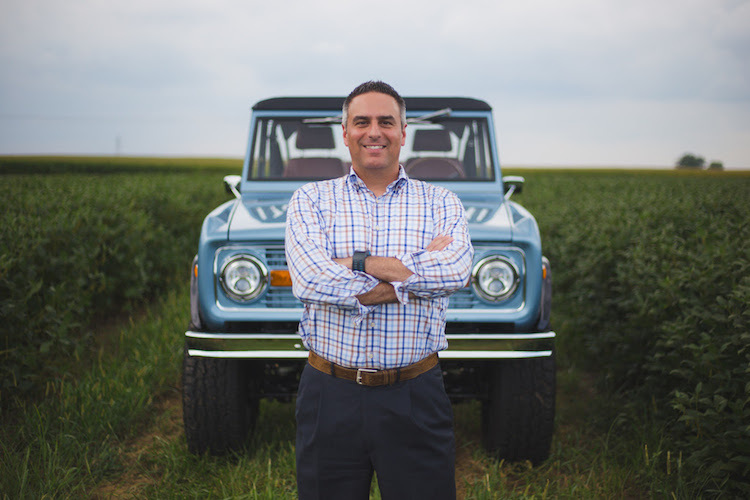 Gale had a long history with the Ford Motor Company, starting his tenure as a designer fresh out of college and quickly working his way up in the company’s hierarchy. Significantly, it was Halderman’s initial design sketch that ultimately led to the development of the car that became the Ford Mustang. But the project almost never happened as the automaker was still licking its wounds from the failed Edsel debacle, an all-new marque slotted between the Ford and Mercury brands. 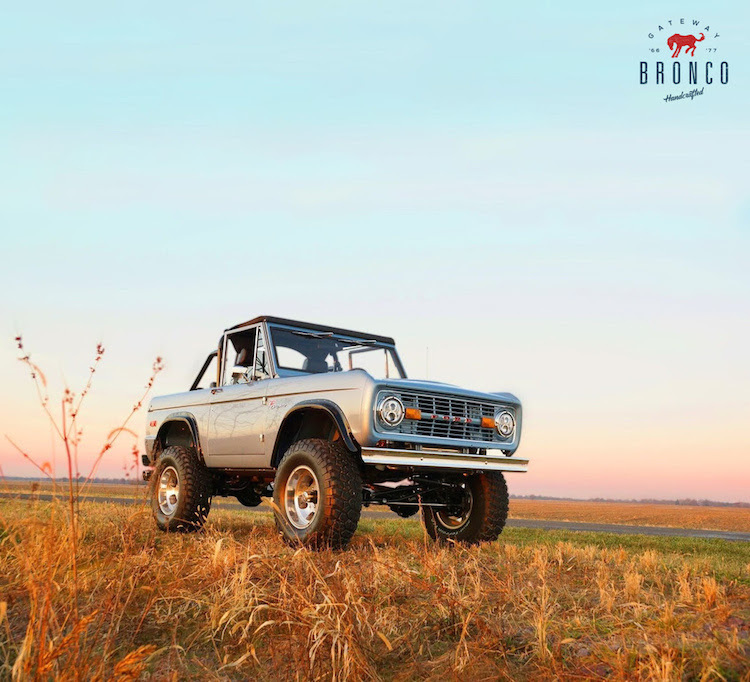 With the backing of Ford executives Hal Sperlich and Lee Iacocca, but especially Iacocca, the then-unnamed project received the reluctant approval of Henry Ford II, the eldest grandson of the company’s founder, Henry Ford. The authors recounted Iacocca’s influence, which included the executive guaranteeing the success of the nascent model with his career aspirations on the line. The authors dug deeper to reveal more about the project, based on the popular Ford Falcon architecture and allotted a budget of just $75 million to launch. That amount was just a fraction of the cost of the average car launch, but savings were realized by deriving about 60 percent of the coupe’s parts from the Falcon. Yet, the Mustang’s success was far from guaranteed. For one, it had to show enough differentiation to appeal to its target audience — young people, men and women alike. Indeed, the proposed vehicle was sometimes referred to as a “secretary’s car,” meaning it had to be liked and affordable for office workers. Furthermore, it was tasked with launching an entirely new segment of sport coupes. Ultimately, Ford was striking out in a fresh direction and reshaping the industry with it. Dinsmore and Halderman shared details about car design that demonstrate how even the smallest changes can have a lasting impact on vehicle development. For instance, the three-gill look on the first-generation model’s front fascia remains a significant Mustang design element, but its purpose was quite simple — the designers had to conceal a gap between the grille and the headlamp bezels. To this day, the design is a significant part of the modern Mustang as it is now utilized in the LED accent lights adorning each model. The Mustang’s formal launch was preceded by a massive media push, whereby the automaker made the new car available ahead of its release. Consequently, by the time the Mustang entered dealer showrooms, consumers were ready to make a purchase. One full year later and more than one million Mustangs were sold — a new segment was launched and the pony car was born. At this point in the storyline, the authors delved into the first model, explaining how new engines and transmissions were brought on and where the late-available fastback model fit in with the standard coupe and convertible. We also learn about Carroll Shelby’s role in transforming the Mustang into a performance model, something Ford needed, especially as GM rolled out the competing Chevrolet Camaro and Pontiac Firebird models. 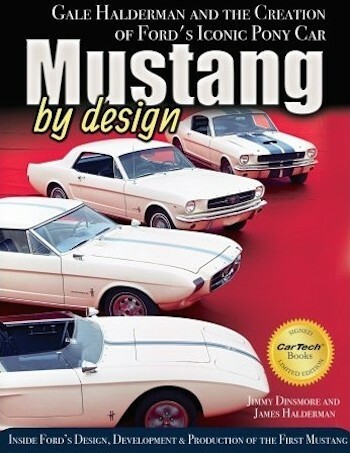 The remaining chapters of Mustang by Design focuses on Halderman’s design influence beyond the Mustang. Indeed, Gale worked for the Lincoln-Mercury Design Studio and is credited with developing the opera window popularized in the 1970s. The book also examines Ford’s design studios, Ford family members and key company personnel, then concludes with a look inside the Halderman Barn Museum. Ford Motor Company fans, but especially Mustang mavens, will naturally be drawn to Mustang by Design. There are enough nuggets to keep readers digging for more, while the supporting photographs and story insets complete the narrative. The book (CarTech; 192 pages; $42.95) is available through booksellers such as Barnes & Noble and Amazon. You can also obtain an author-signed edition through CarTech.